A Welsh farmer’s search for a stray cow turns into a darker meditation on mortality. This, Jones’ debut novel, is thematically of a piece with the two others previously published in the United States (The Dig, 2015; Everything I Found on the Beach, 2016): it’s slim and direct, set in a gloomy-feeling rural Wales, and concerned with the fragility of life. Gareth, a farmer, is searching for a pregnant cow as the story begins, but he has plenty else on his mind, including a downhearted wife (past miscarriages weigh heavily on her) with a secret, a sullen teenage son, and an aged dog due to be put down that day. And that’s just what’s within the confines of his house: a long drought prompts commentaries about how difficult and feral the landscape is, from the ducks that overrun the town to a failed pig farm to moles and cats and insects that seem to constantly encroach Gareth’s homestead. The light in this dark tale—which culminates with a death in the family—comes via its language. Jones writes about this mucky, perilous landscape with a simplicity and passion that evoke Seamus Heaney’s poetry: “The earth was full and hungry”; “When much of the goodness of the mole was gone and the bigger insects went the ants came, cleaning the bones and the lining from the skin.” That lyricism isn’t always to the benefit of the main plot; Gareth’s wife and children are relatively underdeveloped compared to the flora and fauna that the lost cow has wandered into. That makes the novel feel a little more hardhearted than perhaps Jones intends. (Is human death not more tragic than animal carcasses?) But he crafts an effective tension between the hard economics of farming and the earthbound challenges of nature. 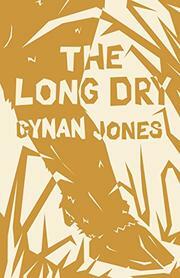 Jones has expressed these themes more effectively elsewhere, but this debut sets the table well for his later work.